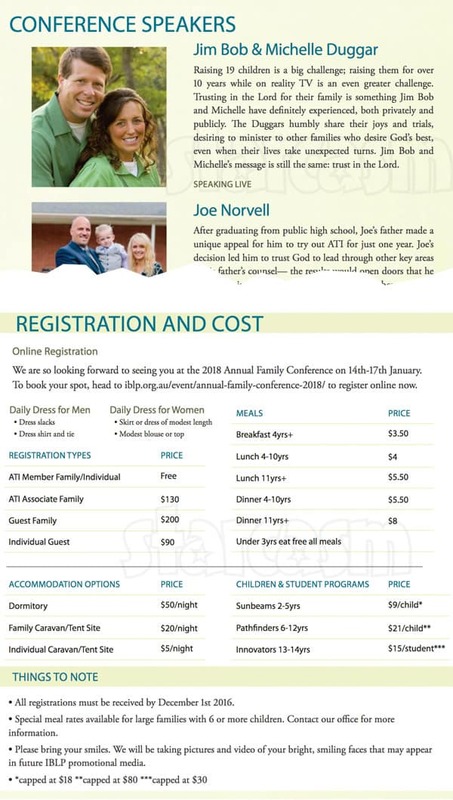 Can you say “Fundies Down Undies?” Wait, that didn’t come out right… Perhaps I should eschew the catchy slogan and just announce: The Duggars are headed to Australia! Like, A LOT of them! In case you didn’t know, The IBLP is The Institute in Basic Life Principles (formerly IBYC, or The Institute in Basic Youth Conflicts), a non-denominational church established by Bill Gothard. 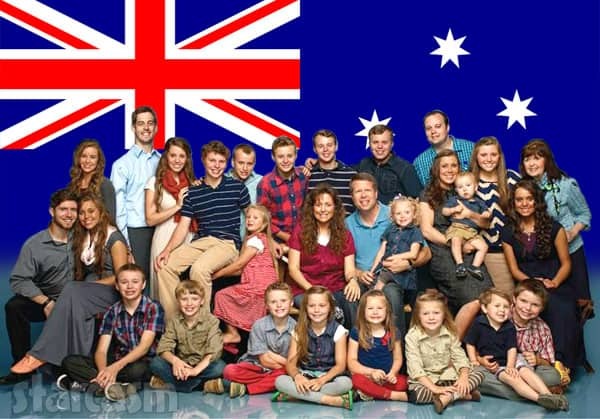 Come and meet some of the Duggar Family (16 of them) as they join us Down Under. 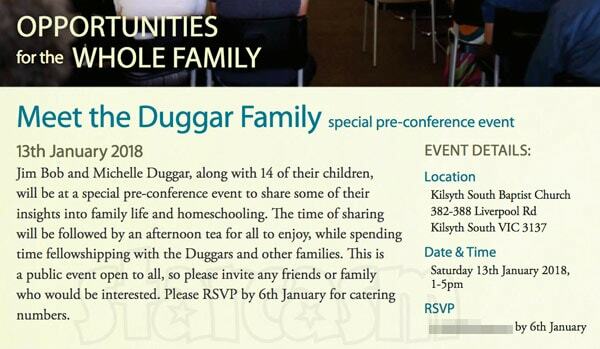 Jim Bob and Michelle Duggar, along with 14 of their children, will be sharing some of their insights into family life and homeschooling. 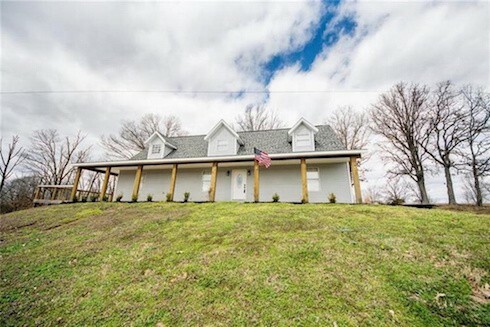 The time of sharing will be followed by an afternoon tea for all to enjoy, while spending time fellowshipping with the Duggars and other families. The Duggar Family will be taking their trip to Australia a little more than a year after Jinger and Jeremy Vuolo ventured Down Under for their honeymoon in November of 2016. 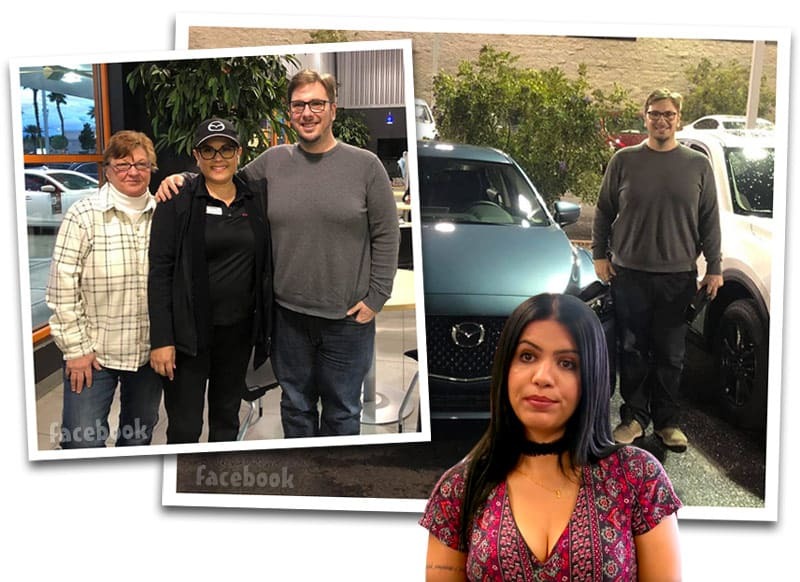 In addition, fellow reality stars (and IBLP / Gothard followers) Gil and Kelly Bates (plus daughter Carlin) from Growing Up Bates visited Australia for the 2017 conference in January of this year. 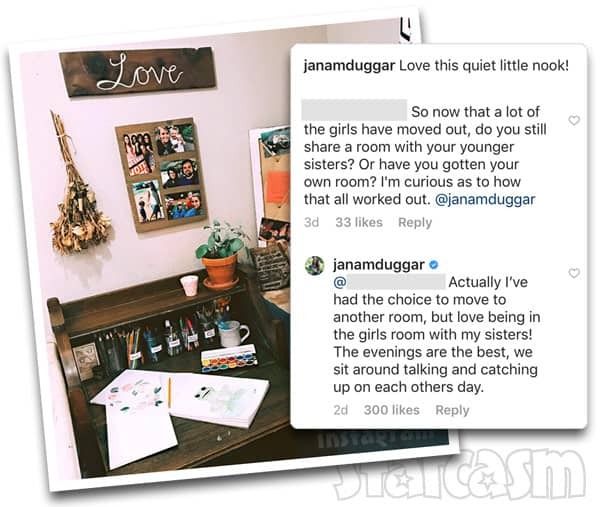 Is Jim Bob Duggar setting up Jana Duggar and Tim Tebow? 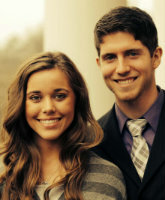 Is 19 Kids and Counting’s Jessa Duggar engaged to Ben Seewald?